DFI's REVITALIZER is designed to “revitalize” surfaces already protected by one of DFI’s protective coatings (such as Diamon-Fusion®, Clear-Fusion™ Pro, or Clear-Fusion™ V), as the water repellency of these treated surfaces can diminish if basic care has been neglected. The 4oz. bottle will cover up to approximately 236 square feet. Works great! Easy to use. Worked well There was plenty left over for future applications. The product worked as explained in the videos and just like the explanation from the sales rep. I was able to remove the stains caused by a aggressive cleaner applied to the glass. It looks now like it did when it was installed. Works well to maintain the Diamon Fusion coating on my glass shower door. Received my order very quickly. I received my Revitalizer when it was estimated to arrive. I applied it to my windshield, and it is working well. I'm glad I was able to find the company online and order the Revitalizer. 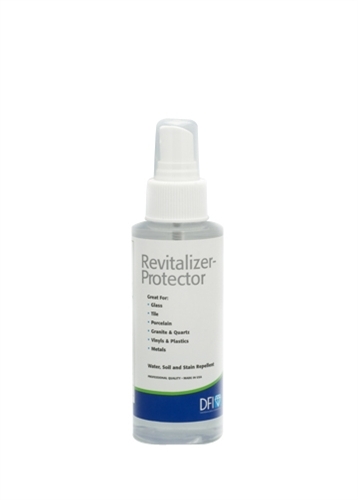 I had the original application performed in 2007, and I'm glad the Revitalizer was able to restore the protection I became use to.